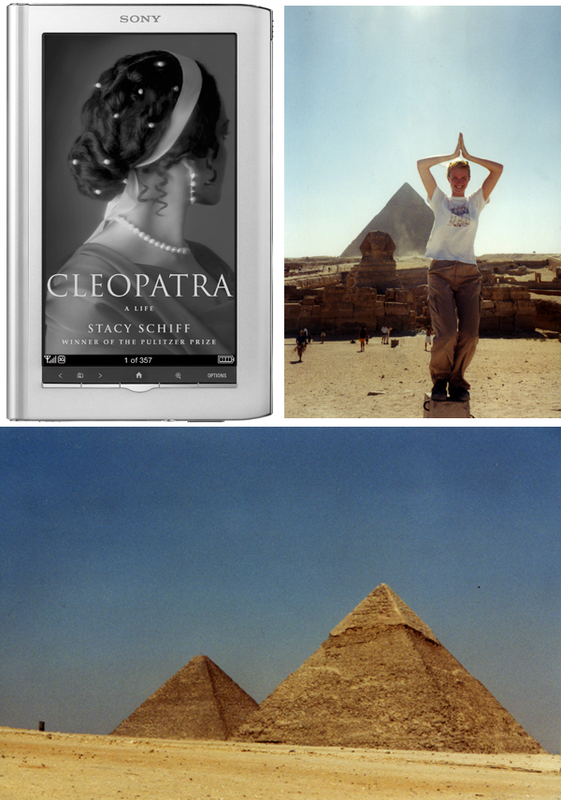 I am thrilled to announce along with Martha Stewart her book selection on the Sony Reader this month, "Cleopatra: A Life" by Stacy Schiff. I am especially intrigued with this selection because of the time that I spent in the Middle East and Egypt while studying abroad in college. "A goddess as a child, a queen at eighteen, a celebrity soon thereafter, she was an object of speculation and veneration, gossip and legend, even in her own time." This is a fascinating read. Join in with us in reading this insightful book, and be sure to tweet with the hashtag #booksimreading. What about you... are you interested in Cleopatra, history and the Egyptian Empire? I used to be absolutely fascinated with Egyptian stuff when i was a kid and cherish a Nefatiti necklace that was my Aunties. I've never read it, but so incredibly intrigued. It must have been amazing to spend time over there. I saw this on Martha Stewart's blog and really want to read it! I am goig to get a copy for my holiday travels. I've been hearing great things about this book -- might just be asking for it for Christmas! I love history, and this book is definitely on my reading list! its on my Christmas list... can't wait to read it! fabulous post, you will need to post a review! I am going to Egypt in September and can't wait to read this, thanks for sharing.